Edited by Christian Gerike M.A. Children dream. In their dreams they are creative, they are scared, they cope with the challenges the world imposes on them. Usually when children wake up crying, in terror, parents panic. With all the information in this book, that will never happen to you again. Dr. Clare Johnson, author, Lucid Dreaming expert, board member of the International Association for the Study of Dreams (IASD) and Jean Campbell M.A. author, former IASD president and founder of the online group Worldpeacebridge, got together to create a book about children’s dreams. And magic started to happen. “We talked about how nice it would be to have a book that talked about working with children with their dreams. Clare and I said to each other, “why not see if we can find a publisher for such a book?” And the most amazing thing happened. When we wrote to the acquisitions editor at Praeger, the immediate reply (within five minutes of the request) was “YES!!) Now, I have worked on and off in the publishing industry for years, and I know very well that no publisher does that.”. When I heard about a new children- dream book being written, I thought: it is about time! The first really good book about the dreams of children I ever read was a Dutch translation of Jung’s Kindertraume: Children’s Dreams: Notes from the Seminar Given in 1936-1940. In 2012, Kelly Bulkeley and Patricia Bulkley, both contributors to this book, wrote Children’s Dreams: Understanding the Most Memorable Dreams and Nightmares of Childhood. The Jungian approach is still valid after more than seventy years. The focus of Sleep Monsters and Super Heroes is on dream play: “Led into dreamplay by a supportive adult, children can become “superheroes” in their dreams, and this empowerment carries over into their waking lives” (page 9). Each of the 17 contributors shares a vision. The book is filled with an interesting array of visions from artists, scientists, lucid dreamers, parents, teachers. They all share methods, insights they have acquired, and techniques you can apply. Even though I would like to quote every author that contributed to this book, the blog would become too long. I did some cherry picking, even though it was very hard, and only picked one chapter per part. Patricia Garfield, in her chapter “Superkid and Other Joyful Dreams: Creative Dreaming with Young Children”says: “Researchers tell us that people who have a sense of accomplishment in life are those who set goals just a little beyond the level they are sure to attain”. As parents, we can assist our children in setting realistic goals; we can glimpse these inner goals through the window of our children’s dreams” (page 11). So dreams do not only give parents a glimpse of the soul of their children, but are also a useful tool in setting goals. In the chapter “The Impact of Digital Technology on Children’s Dreams” Jayne Gackenbach explains how dreams have changed due to our increasing dependence on technology and games. And dreams do not always change for the worse. Young people that game supposedly have more access towards obtaining the ability to engage in lucid dreams. At the 2016 Conference of the IASD, one of the keynote speeches: Playing the Dream by Frank Bosman was about this subject. “Gamers are more likely to consider the “nightmare” as fun and perceive it like playing a combat-centric game. Gamers see a drastic change in their threat perception and reaction, and events or experiences that may paralyze others in dreams are instead an empowering challenge to overcome. In other words, heavy gamers experience dream events that bolster their confidence rather than create negative emotions” (page 122). So gaming isn’t all bad for your children/boyfriend/spouse/fiancee. Negative emotions will probably be handled better, because the gamer is working with it all day and night. In the chapter “Weirdness in the Night: Terrors and Disorders in Children’s Sleep” Ryan Hurd gives more information about parasomnias: sleepwalking, sleep paralysis and sleep terrors. “Sleepwalking erupts out of deep sleep, when delta waves predominate the sleeping brain in the first half of the night. Sleep walking and other arousal disorders usually surface within an hour or two after the child goes to sleep. The sleepwalker rouses and moves about for a few minutes with open but distant eyes. Children can perform complex behavior as well, although their movements may be clumsy and not well defined. When confronted, a sleepwalker may simply navigate around the obstacle without acknowledgement or respond foggily at best”. Any parent who has experienced his child sleepwalking knows it can be a very strange experience to see your child aware, but in another state of being. Ryan not only gives expert advice backed up by research, he is been through all of this himself when he was a child. In the chapter “Dream Magicians: Empower Children through Lucid Dreaming” Clare Johnson reminds us of how common lucid dreams are for children. “One 2006 study by Qinmei, Qinggong, and Jie shows that most four-to-six-year-olds believe that there may be a way of controlling the action in their dreams, while knowing that this is a dream” (page 289). “Being a dream magician can be as simple as thinking a clear, guiding thought in a lucid dream, or it can involve more complex actions such as reciting mantras and spells, creating new dream scenes, or using magical props such as an invisibility cloak or a wishing ring” (page 290). To buy or not to buy, that is the question. Here are some pro’s and cons. This book provides you with a wealth of information and techniques about helping children to dive into the world of dreams. There are contributions from researchers, teachers, and parents. Not every author focused on dreamplay, but this could also be added to the con’s of this book. 48 dollars is rather expensive, even though it is value for money: more than 350 pages of information about dreams from different angles. Not every author focused on dreamplay, but this could also be added to the pro’s of this book. for you with ten easy tips to quickly increase your dream memory. Or visit our Courses Page. Today Mindfunda gathered the 6 most interesting links this month. Dream news about mythology, spirituality and other things that are good for your body and health. The first dream news was found in a recent article of Current Biology, where researchers of the University of Wisconsin have suggested that the slow waves with neuronal OFF periods, typical of NREM sleep, occur in REM sleep. At least, in mouse they did. This on/off pattern interferes with the transmission of information in the brain and disrupts the communication among different brain areas. So that might be the reason why we remain in sleep and are not aware of our surroundings. Inspiring Dreamer and Pop Musician David Bowie passed away this month. How is this dream news, I hear you say? Mindfunda payed credit to him with a tribute to David Bowie. Mindfunda's Susanne van Doorn was invited by the Societas Studiosorum Reformatorum Eindhoviensis or SSRE in Eindhoven to give a presentation to celebrate their 58th anniversary. The motto of their anniversary was Living the dream, so they reached out to me to talk about dreams. This Mindfunda is a transcript of the 'Living the Dream' presentation of September 14, 2015. I know a lot of you share that view on ‘Living the dream’ with me. It is a cultural phenomena. A Western cultural ideal. How can we use something as individual as a dream to help us reach that goal? Let’s define dreaming using physical and psychological elements. I will give two techniques that will help you direct your dreams in a certain direction. They will help you reach your goals. Finally I will give you some great examples that will convince you that dreams can help you with Living the dream. Are you dreaming right now? Do you ever wonder during the day if you are dreaming? Patricia Garfield did some research into common dream themes. Getting educated (by reading this blog) is one of the most common dream themes. So are you quite sure that you are not dreaming right now? You could perform a reality check: count the fingers of your hands. Carlos Casteneda wrote about it in the seventies and lots of people learned to lucid dream by looking to their hands before falling asleep. Hands are always with you. Looking at your hands before you fall asleep and telling yourself to look at your hands during your dream to remember yourself that you are dreaming seems to be a sure technique to reaching lucidity in your dreams. Robert Waggoner used this technique to acquire the basic principles of lucid dreaming. The question ‘are we dreaming right now?’ is the inheritance of Descartes. Descartes thought us to question everything. Yourself, your body, reality. we get taught to think that way in our universities and high schools. 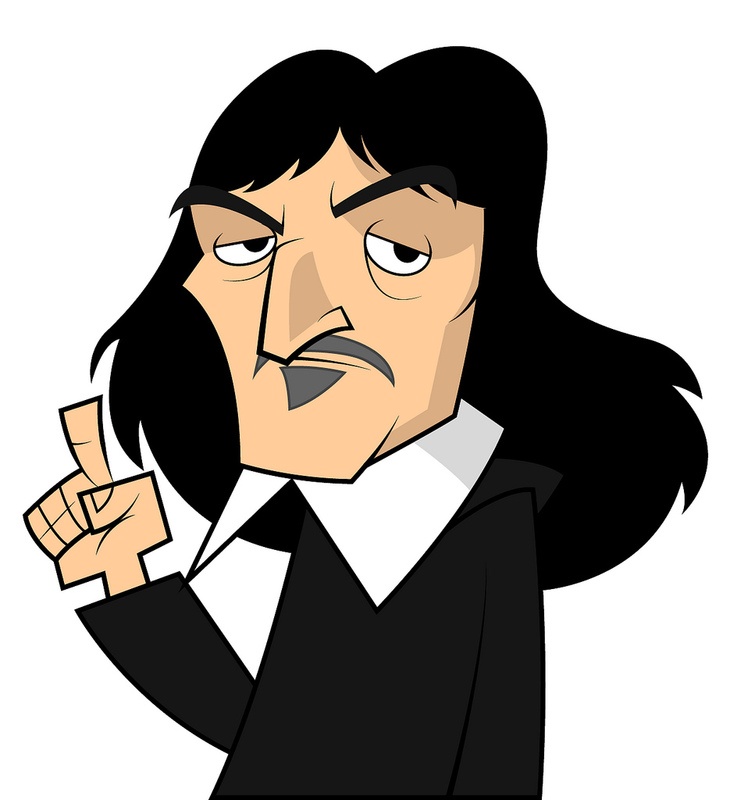 Descartes claimed that he existed because he was a thinking person: cogito ergo sum, I think therefore I am. But that caused us to make a distinction between our mind and our body. And that is how I am going to define a dream. I will define three elements of physical dreaming and three elements of psychological dreaming. After doing that we can go back to “living the dream” and see how we can dream ourselves a way into this Western ideal. So how do you know if you are dreaming at this moment? There is a technique, introduced by Carlos Casteneda in the seventies. Looking at your hands and counting your fingers. When this becomes a habit you start to do this in your dreams. In your dreams your fingers look different. And you always have your hands with you. Before you go to sleep: relax your body, look at your hands and say to yourself: I will look at my hands in my sleep and realize that I am dreaming. There are more reality checks: looking a watch or a clock two times. The second time the clock hand will point at a different number. Turn on the light: in your dream this is not possible. Go back in time: wonder what you did before this event. In a dream you will not be able to remember a natural sequal of events. So with this technique in mind, let’s define dreaming. I will cut up the dreaming process in physical and psychological elements. #1: The supraciasmatic nucleus takes care of our day – night rhythm. It regulates your body clock. Light reaches into your eye, and regulates this nuclei. It is one of the reasons why you better not wear sun glasses in the summer. And why you should dim the lights at night. When people can not fall asleep, I often give them the advice to talks a walk in the dark. 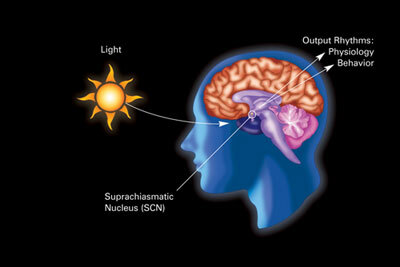 Movement and darkness are ways of resetting the supraciasmatic nuclei. Darkness is the sign for the tryptophan in your body to be transferred to melatonin, which make you fall asleep. So don’t buy melatonin in the supermarket. Turn out the lights on time and go out for a walk in the dark! 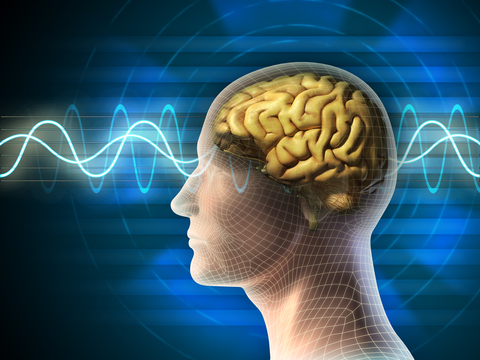 #2: Brainwaves are a certain indicator of your state of awareness. Especially the Delta and Theta waves are present during sleep. 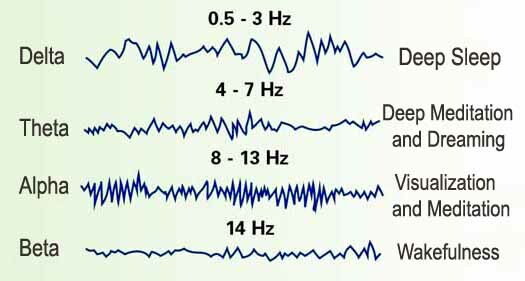 REM sleep occurs during Theta waves. During Delta waves there is Deep Sleep. Sleep with no awareness. the total darkness. I will be interviewing Evan Thompson for Mindfunda soon. in his book Waking Dreaming Being, he devotes a whole chapter on this kind of sleeping. Where is the Self, The I, the awareness during this state? Is it a kind of ‘death’? or is there a sense of awareness? The Rapid Eye Movement (REM sleep we got to know and love during the fifties appears in the Theta sleep. It was during REM that Stanley Krippner woke up his dreamers in his telepathy projects. He wanted to research of dreamers could be influenced by an outsider. In his experiments he got art, he got a dreamer and he got a sender in his dream lab. An artwork was randomly selected, the sender started concentrating and the dreamer started dreaming. Whenever the dreamer reached REM sleep he was woken up and a dream report was written down. This report was judged by an independent jury and scored on various points. Krippner published some amazing results, dreamers did manage to report dreams that showed fragments of paintings in a very accurate manner. #3: Inhibition of the spinal motor neurons. We do not move in our dreams from the neck down. We can turn around in our bed, but we do not get up and act out our dreams, because of this inhibition. Here you can see a dreaming cat who is acting out its dreams. Now you can see why this inhibition has been an evolutionary advantage. So now we have defined the physical elements of dreaming. We are buckled up, let’s go ahead and explore the psychological elements of dreaming. #2: The second psychological element of dreaming is: you dream in symbols. this little film I found tells you more about it. Falling in your dream does not have to symbolise failing. It is also a reflection of the energy level of your body decreasing. Just let yourself fall down and start to fly. Enjoy the process. I know that it is a common assumption that all characters in a dream are reflections of you. But not always… I did some research (you can download it here). I had several dreams about meeting people who had dreamed the same. So one day i decided to do an experiment. I got 15 couples. Every couple of dreamers were supposed to meet each other in a dream. One had a gift, the other was the receiver. After the night of dreaming I collected all the dream reports. And… Several couples indeed had met each other and reported the right gift in their dream reports. The third psychological element of dreaming are emotions. A lot of people see emotions as the key to giving meaning to a dream. Te film Inside Out gives such a good representation of our basic emotions. Fear, Anger, Disgust, Sadness and Joy. When you look at the world we live in, only a few of these emotions are tolerated. Joy is accepted as a public emotion. Anger is tolerated when it comes out as dominance or sarcasm. But you must never be to angry, too sarcastic, too sad or too fearsome. Showing disgust makes you an arrogant person. So most of us have gotten used to hiding our emotions. Dreaming is reconnecting with your emotions. To get to know yourself better. To accept that those emotions are just part of life. Now we have defined the elements of a dream, it is time to tell you about the second tecnhique you can use to dream your way into a better future. Dream incubation is an old technique. It was used in ancient Greece in the dream temples of Asclepius. You concentrate on what you want to dream about. You write down your problem. preferably before going to bed. And you end with writing down one positive formulated sentence. A sentence that reflects your dream question in a positive way. “What is the best for me right now?” or “What do I need to know about …?” And while you are in bed dozing off, mumble that sentence. Do not forget to tell yourself that you will remember and understand your dream each time after mentally stating your dream request. You might not remember a dream your first night. And maybe even the second night. But you will remember a dream if you keep doing this. The more you practice this technique the better you will become. There is one technique, besides lucid dreaming that I have not talked about. It is called incubation. The ancient Greeks used it in their dream temples when they wanted guidance for their health. And so can you. Here is what you do. You write down a specific wish/problem/subject you want to dream about. during the day and again before sleep. You write down what you what to dream about and you finish with one clear positive sentence that states your request. ‘Tonight I will dream about … in a way that I will remember an understand’. Mumble those words as you doze off to sleep. Living the dream consists of three things that go well in your life: love, your career and your health. I will tell you stories about dreams that have changed the lives of people in those three areas that are so important. All three areas are a reflection on who you are or on who you want to be in this life that you are given. These dreams will make you see that by dreaming, you can turn your world around for the better. Dreaming and intuition are twin sisters. If you want to hear Justina tell more powerful stories about changing your life for the better using dreams as a guide you can watch the Mindfunda interview with her. 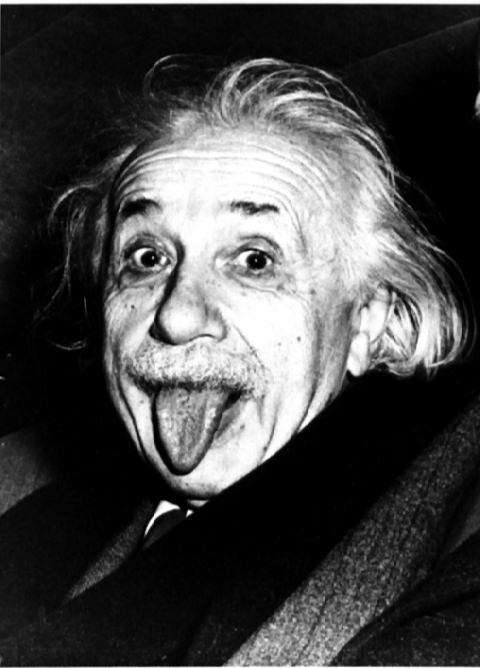 It was a dream that guided Einstein towards his theory of relativity. When he was 16, his grades in school were bad. His father said: “Son, I am giving up on you. 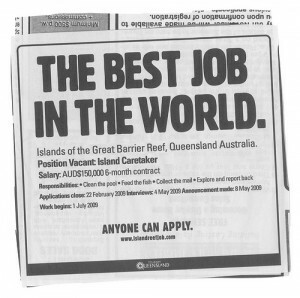 Why don’t you become a plumber!”. Einstein was very upset because he felt he was smart. That night he had a dream that would nurture him into his fertile future. The dream that had all the ingredients of his discoveries. Einstein told this dream at the end of his life. This dream had been a secret inspiration for him. He told the interviewer that whenever he felt down or uninspired, he remembered the feeling of this dream. A dream can save you life. If you listen to the podcast of my dreams and health panel for the IASD conference in 2013 you can hear impressive examples. But the story of Rita Dwyer and her colleage Ed Butler is one of the most impressive stories around. Ed had several dreams about saving Rita from a fire. He opened the door (we all know that you should not open a door when the door handle is hot or smoke comes out of the doorway. The flames will burst out because of the oxygen coming in). He got into her burning laboratory and got her out alive. Against all odds. When they were in hospital Rita asked him: “Why did you open the door, and put your life in danger? You know it is against all formal regulations?” And he told her he had saved her in recurring dreams. “I knew I was going to survive this. I knew what I had to do, I had done it before in my dreams”. And that is one other good thing about dreams: they rehearse possible futures. You are able to dream the future. Perhaps it is better to say: dreams will rehearse several possible futures for you. I want to thank SSRE for inviting me, and my colleague Hans van Nuland for his contribution to my ‘Living the Dream’ presentation. Please sign up for my YouTube channel to enjoy all the beautiful Mindfunda interviews with inspiring people. People like Jean Benedict Raffa, Anne Baring, Connie Kaplan, Ralph Metzner, Stanley Krippner and P.M.H. Atwater, Catherine Wikholm about her book the Buddha Pill and Justina Lasley about her book Wake Up to Your Dreams: Transform Your Relationships, Career, and Health While You Sleep! How to become aware in a dream that you are dreaming? A lot of books have been written on the subject. Some better than others. Mindfunda gives a list of the five best books about how to lucid dream. The ultimate classic of lucid dreaming. It has taught many people the skills to achieve lucid dreaming by carefully looking at their hands before falling asleep. While doing so you must decide that every time you see your hands (you always have them with you) you ask yourself whether you are sleeping or not. A very succesful method that has helped many people who are now famous in the area of dreaming like Robert Waggoner and Stanley Krippner. I will start out our list with a classic. Stephen LaBerge wrote this basic guide years ago. it is still one of the best guides around. It teaches you to remember things, it teaches you to become aware, and it teaches you to test the reality you are experiencing. A very good beginners book. Robert Waggoner wrote a basic book together with his student Caroline McCready. Mindfunda did an interview with Robert Waggoner you can read more information about it here. This book gives very useful and practical how to exercises that challenge you to improve on your lucid skills. It is filled with the history of lucid dreaming and really a good source of information. Written by Ryan Hurd, edited by Kelly Bulkeley. Fariba Bogzaran, Clare Johnson and many others participated in this historical overview of experiments, articles and books about lucid dreaming. Since ancient times there is a special way of falling asleep and keeping conscious. Dream yoga. Dream yoga is an ancient Buddhist monk practice that is described in various books. Here is one of the best: it is useful, practical and easy to read. Dream yoga are buddhist practices to learn the skill of lucid dreaming as a spiritual transformation. Several levels of awareness while dreaming can be taught. To become aware that one is dreaming, to face up to aspects of ones inner shadow, to practice changing objects in dreams. Please sign up for my YouTube channel to enjoy all the beautiful Mindfunda interviews with inspiring people. People like Jean Benedict Raffa, Anne Baring, Connie Kaplan, Ralph Metzner and Stanley Krippner. If you are interested in dreams, Mindfunda is the blog for you. Please subscribe to the blog using the sign up form at your left hand side. I write every other day, about dreams, spirituality, mythology. I regularly review the latest books about dreams and dream research on Mindfunda Bookreviews. If you want to remember more dreams, I have got 10 useful tips for you. If you do remember dreams on a regular basis, you would want to know the meaning of your dreams. There are several ways of dream interpretation you can use to decipher dream meanings. On the topic of Lucid dreaming, I created a list of the top 5 books about lucid dreaming I recommend (Let me know if I have missed a book about lucid dreaming that you thought was extremely good). On my Youtube Channel I have an interview with world-renowned lucid dreamer Robert Waggoner, talking about Lucid dreaming plain and Simple. There are so many ways of dreaming, so many creative things you can do with a dream. You can enhance the scientific thought that dreams are the result of the neutrons in the brain working out and training. You can embrace the thought that dreams know you through the depths of your soul, or you can curiously explore every way there is to discover more about one of the mysteries that science has not figured out yet. This content is categorised as Dreamfunda. The shadow, your own inner dark personas. Carl Jung was the first to talk about it. The method of discovering your shadow types is well-known. Make up a list of thing you completely dislike about people your own gender. Et voila, there is a list of your dark side. Things you are reluctant to admit about yourself. But it does not all have to be that complicated and depressing. here are 5 relaxed ways of identifying and accepting your shadow. We live in an age of technology. Work has been simplified by computers. the downside is that theer is a big change you might become replaced by a machine. In their book Projecting the shadow: the cyborg hero in american film Thomas S. Frentz and Janice Hocker Rushing interpret films in a mythological way. They talk about sis movies: Jaws, the Deer Hunter, Manchurian candidate, Blade runner, Terminator and Terminator 2. The hunter mythology is taken to a new level because the machine represents the shadow part of the hero. The old wise man/shaman who knows about the spiritual strength necessary to endure life is replaced by half man – half machines. These cyborgs hunt the hunter. A lot of science fiction films have played with this mythology, humanizing the computers. One comes to mind easily: Robot. In this film, the machine becomes human. Does this mean that the shadow gets integrated? Monika Wikman writes in Pregnant Darkness: When Saturn’s shadow takes us to the place of no imagination, no play, no humor, and no movement, the jackass brings us humor. Without humor about your own shadow aspects, we encounter difficulties that affect our connection with and participation in the mysteries of life. Every 28 years Saturn, the planet that represent your darker side, your challenges completes his circle around your birth chart. Surviving Saturn’s Return written by Sherene Schostak and Stefanie Weiss is a book that will help you identify 12 important lessons for your life. And it even promises you to help you find your true self. Dr. Sharon Moalem writes in his book Inheritance: ..The real numbers are hard to come by but at least three-quarters of all children have been bullied at some point in their lives… Those experiences do more than psychological damage. There is a striking epigenetic change in children that were bullied. It changes your genes work and how they change your life. The book of Moalem gives you insights into your genetic heritage, encourages you to find out more about your ancestors, to change your diet according to the needs of your genes. I think that a lot of psychological work can be taken over by biology. This book helps you in an easy way to make the best of your genetic heritage. Befriend the second you. A lot of us walk around with the notion we have a secret self we need to hide. We are in good company. Hear Marion Woodman talk about it. Saying yes is her secret, nurture the two aspects. In this book Marion tells you about the Black Goddess, Kali, about embracing chaos. To acknowledge your desire for creation as well as your capacity for destruction will make you a happier person. And you will enjoy the wisdom of a lady who is so knowledgable about the human psyche because she has lived it all. She will open the way for you to recover your shadow-self from your dreams and interpret them. Dreams are an invitation to get to know yourself better. Lucid dreaming as a way of recognizing and incorporating your shadow. recently I interviewed Robert Waggoner about his new book Lucid dreaming plain and simple. In his book he writes: “Jung felt that dreams occasionally bring up shadow elements that seek some kind of recognition. 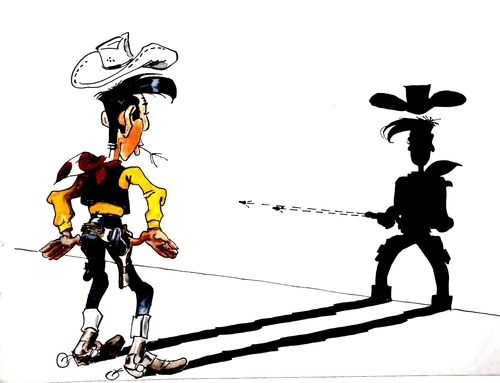 often, nightmarish or repulsive figures can be interpreted as shadow elements in the Jungian sense. By embracing these denied parts of the self and reintegrating them consciously, transformation occurs. If you are not an experienced lucid dreamer, this is the book for you. It has several techniques, it has a spiritual and philosophical edge to it and it is filled with nice how to exercises. I will be interviewing Jean Raffa soon and putting it on my Youtube channel so be sure to sign up! Mindfunda had the honor of interviewing Robert Waggoner about a new book he has written together with Caroline McCready: “Lucid dreaming plain and simple”. You can watch it on the Mindfunda YouTube-channel. Robert Waggoner is past President of the International Association for the Study of Dreams (IASD) . For the past ten years, he has been the co-editor of the online magazine, The Lucid Dreaming Experience, the only ongoing publication devoted specifically to lucid dreaming. A lucid dreamer since 1975, he has logged more than 1,000 lucid dreams. He is also author of Lucid dreaming, gateway to the inner self, read all about that book here. Caroline McCready is an author, teacher, artist, a graduate of the University of Warwick, with a BA honours degree in History of Art and also has a postgraduate SQC in Psychology from Oxford Brookes University. Caroline spent a year at the Julian Ashton Fine Art School in Sydney, Australia before going on to study Sculpture in Chelsea, London. They both met at the presentation and courses Robert gives in Lucid dreaming and decided to write a book suitable for beginners as well as more experienced Lucid dreamers. We all know how big Google has become. Basic lucid induction techniques like finding your hands, mental suggestions, Mild (Mneminic Inductions of Lucid Dreams), the Critical reflection Technique of Paul Tholey and Wild (Wake Initiated Lucid Dreams), Cram (Constant Repetition and Affirmation Method), Wbtb (Wake back to bed) are discussed. It makes the book a valuable resource for all lucid dreamers around. The methods of stabilizing your lucid dreams : Meme: Modulate your emotions, Enhance your awareness, Maintain focus, Establish your intent or goal, ways to prolong lucid dreams, waking from lucid dreams and how to recognize a false awakening you can find all of this in the first 4 chapters of this book. The second part of the book (chapter 5 – 9) revolves around fine tuning the core techniques of lucid dreaming. Robert touches on interacting with other dream figures in a lucid state to resolve, balancing your inner energy, explore different materials in a lucid dream, intent and the power of surrender, for some dreamers the hardest part of all in lucid dreaming: the power of surrender. This book is not plain and simple. It initiates you to approach lucid dreaming in a respectful way that will increase the knowledge of yourself. The third part of the book chapter 10 – 13, around dreaming and healing: healing emotionally and physically. finding inner balance by integrating the shadow (the book has a recognizable and enjoyable Jungian flavor), how to heal in a lucid dream and one of my favorite suggestions is meditating in a lucid dream (I never meditated in a lucid dream before I read this book. Meditating while being lucid gives you a healing sense of connection with the universe. In the interview Robert gives credit for this idea to experienced lucid dreamer Clare Johnson. The final part of the book is Lucid living. Robert Waggoner is an expert on this. Listen to the interview to hear what he has to tell you about Lucid Living.